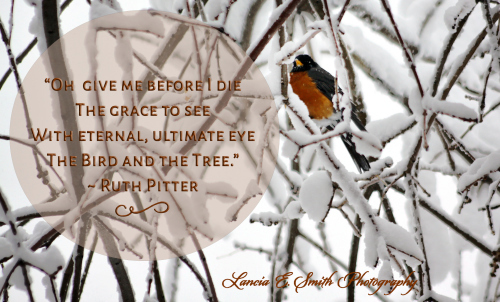 Scroll all the way down to the link View the Original Post to read and hear Ruth Pitter’s poem The Bird in the Tree. This entry was posted in art, Environment, Poetry, verse and tagged bird, Malcolm Guite, Ruth Pitter, the bird in a tree by Gordon C. Stewart. Bookmark the permalink.